Local restaurant and venue accepted 10 Bradenton Herald People’s Choice awards for 2018. 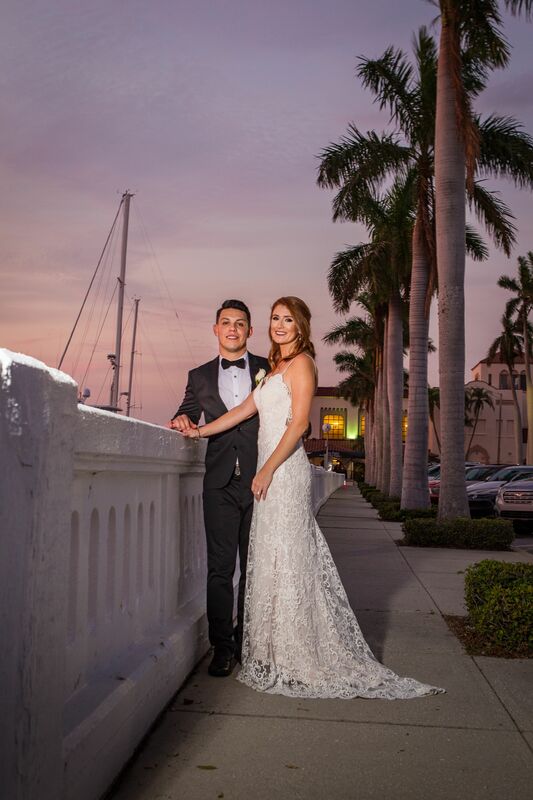 Wedding bells are ringing at PIER 22, downtown Bradenton's landmark waterfront restaurant and venue, as guests vote the popular eatery the best place to get married, according to results from the Bradenton Herald People’s Choice contest. Executive chef and general manager, Greg Campbell, along with the special events and catering division, are delighted to be recognized for their expertise in wedding event planning by the very couples they have helped to unite. “Curating only the best possible guest experience is at the center of everything we do. It’s not just the riverside atmosphere that makes this a great dining location or special events venue, it’s also our passion for hospitality, exceptional client service and fresh housemade meals that makes this place stand out,” Campbell said in an online statement on the PIER 22 website. Aside from Best Wedding Venue, PIER 22 took home first-place awards for Best Caterer, Best Brunch, Most Romantic Restaurant and Best Sushi Bar. PIER 22 also earned finalist spots in the following five categories: Best All-Around Restaurant, Best Happy Hour, Best Raw Bar, Best Seafood Restaurant and Best Waterfront Dining. The People’s Choice Contest organized by the Bradenton Herald is an annual poll of its readership to determine the area’s best businesses. PIER 22 is a multi-year recipient of People’s Choice awards. The complete results for winners and finalists are available in a special section of Sunday’s Bradenton Herald. PIER 22 Restaurant, Patio & Catering is genuine Bradenton and sits directly on the beautiful Manatee River surrounded by the Twin Dolphin Marina. PIER 22 provides guests with scratch-cooked meals and authentic waterfront dining experiences 365 days per year. From casual meals on the patio to upscale dining, PIER 22 offers a welcoming ambiance for all guests to enjoy. With rooms for every occasion, PIER 22 can accommodate your party or event with up to 300 guests.